The Gorkha National Liberation Front on Sunday said it had asked the BJP to issue a clarification that the National Register of Citizens would not affect the Gorkhas in Bengal, although the hill party claimed such an exercise wouldn’t hit the community at all. The GNLF said it was seeking the clarification from the BJP just to dispel alleged political propaganda that the NRC exercise could pose problems for the Gorkhas in the Darjeeling hills. 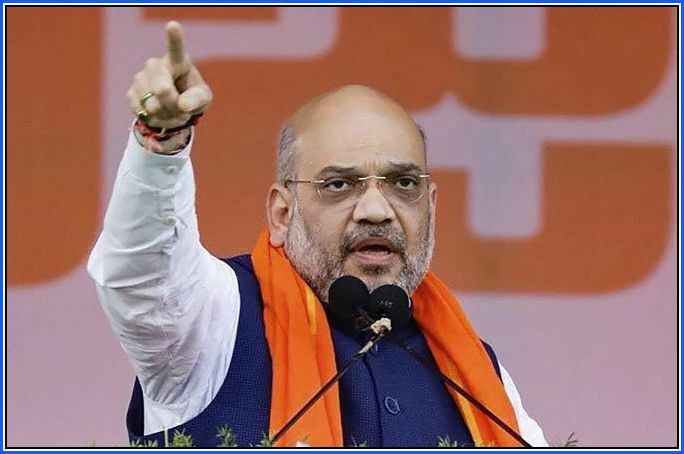 BJP national president Amit Shah had told an election campaign meeting in Alipurduar on Friday that the NRC exercise would be carried out in Bengal if the party came to power. On Saturday, Gorkha Janmukti Morcha president Binay Tamang expressed “shock” over Shah’s announcement. Tamang referred to absence of “land rights to hill people” to buttress his claim. “It (announcement) has come as a shock to the Darjeeling people, more than 80 per cent of whom do not have land rights. It is a tell-tale sign of uncertain future for the hill people without land rights if the BJP is voted to power,” he had said. Neeraj Zimba, the spokesman for the GNLF, however, sought to dispel the fear on Sunday. “For the Gorkhas, the NRC will not affect even their livestock and the vegetables they grow,” he said. Zimba cited articles of Indo-Nepal Friendship Treaty, 1950, and a gazette notification issued by the Union home ministry on August 23, 1988, to justify the GNLF’s stand. The basic contention of the GNLF is that “Gorkhas had come with the land” as Darjeeling district was once part of Sikkim (independent country), then Nepal, and later British India and Kalimpong district was once part of Bhutan. “We have not entered the country illegally. We have come with land. So, the NRC will not affect us,” said Zimba. The BJP has fielded Raju Bista in the Darjeeling Lok Sabha seat with the backing of the GNLF and the Bimal Gurung faction of the Morcha. Amar Singh Rai, the candidate of the Trinamul Congress-Morcha (Tamang) combine, however, refused to buy Zimba’s argument. “In Assam, where the cut-off date was 1971 (for citizenship of migrants), around 2 lakh Gorkhas faced problems and various notifications did not prevent them from being classified as D (doubtful) voters. In Darjeeling, more than 80 per cent of people do not have land documents,” Rai said in a statement. “What would be the fate of these landless people if 1950 is taken as a cut-off date for Gorkhas? That is why we are raising the land right issue (in the election campaign,” said Rai.